How to Clean Silver Necklace with Toothpaste? The awesomeness of sterling silver or hill tribe 98-99% pure silver necklaces fades away with time as more tarnish builds up. It starts by changing to a yellowish color first then to black. Silver jewelry tarnish happens when the copper makes part of the silver and oxygen reacts. Why should you spend lots of effort and money on expensive cleaners for just removal of tarnish from a piece of silver necklace, when toothpaste can help you out easily and quickly. 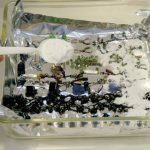 There are more expensive silver jewelry cleaners such as a mixture of water and baking soda, which has the same formula used in many toothpaste tubes. 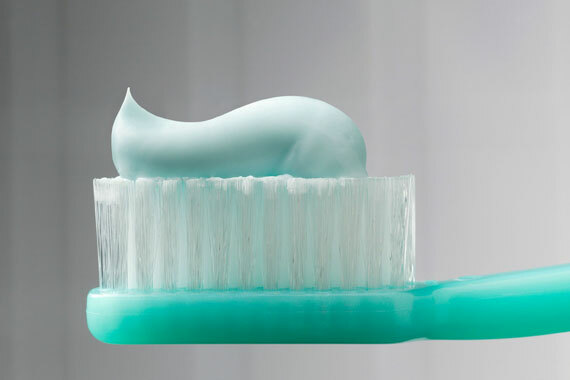 Using toothpaste is easy to use, non-toxic and above all save you money. The reason why toothpaste is best for cleaning silver necklace or any other jewelry is that it contains baking soda. Gel toothpaste should not be used since it has no content of baking soda. Also, ward off toothpaste which boasts whitening power or tartar-control, since they might include a chemical substance that is harmful to the silver. How to use the toothpaste when cleaning? 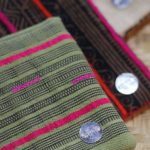 Use a soft moisten cloth to clean the softer silvers or delicate jewelry gently. Make the silver wet then add a little of toothpaste. Don’t forget that a little goes a long way. Rub it lightly with the moistened fabric until it is polished. Add a little more toothpaste if the fabric turns dark with tarnish and continue rubbing. Wash the dark toothpaste foam from your silver necklace, then rinse the cloth and start all over again. Get a toothbrush and slowly scrub the silver jewelry for the stubborn tarnish or parts that are hard to reach. You can use an old worn toothbrush or merely buy a soft-bristled toothbrush or baby toothbrush to prevent scratching. Rinse off the polished silver necklace or whatever jewelry it is in warm water then dry with a soft towel. Remember toothpaste is not just useful for silver jewelry, you can use it to clean the other more significant silver material in your house. 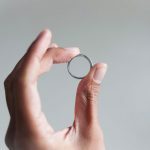 However, although toothpaste might be the most economical and the best for cleaning silver jewelry, it can also be rough and may end up scratching silver items that are more delicate. It is advisable always to test your toothpaste on a small area first, to determine if you’re going to clean your piece of silver jewelry with toothpaste or another product. 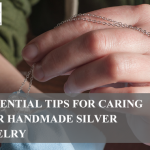 Regardless of the fact that there are so many ways to clean silver jewelry and take off the tarnish, you should never disregard taking care of it at all. 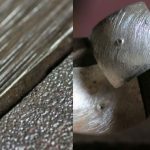 Despite the method you are using to clean your precious sterling silver or hill tribe 98-99% pure silver necklaces, you must always try to prevent tarnish by keeping the jewelry properly. Jewelry experts recommend that you store your jewelry in a zip-lock plastic bag, a tarnish-reducing bag or soft felt to help cut down tarnish on silver necklaces, bracelets, rings or pendants. Storing your jewelry away from other jewelry inside its bag or container reduce scratches and tangling of the jewelry. Sign up today for free to receive exclusive offers including 20% OFF on today's order on all handmade silver jewellery. Please check your inbox for our 20% Off Discount Code. How Do You Clean Silver Bracelets? 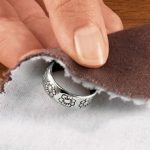 How to Clean Silver Rings? Why is My Sterling Silver Ring Turning Black? How to Properly Store Your Silver Jewelry? 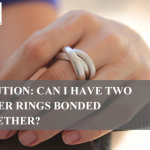 Solution: Can I have Two Silver Rings Bonded Together? What To Wear With A Black Dress? What to Wear to Other People’s Wedding? Layer Jewelry: How Not to Overdo? 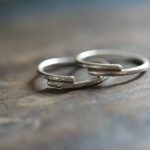 Can I Wear Silver Jewelry If I Am Allergic to Nickel? By entering your email above, you agree to receive Stories of Silver & Silk updates. We like that you’re here but you can opt out anytime.